By Amanda Glenn 256 Comments April 15, 2018 This post may contain affiliate links. When you’re an exclusive pumper, it’s important to make and stick to a pumping schedule in order to maximize supply and minimize issues like clogged ducts. Figuring out a pumping schedule when you are exclusive pumping is a balance between your need to pump enough milk and the rest of your life. Think about how many pumping sessions you need in a given day, and then think about the best time to fit them in based on your life – whether you work, whether you are home with your baby, whether you desperately need more sleep or are doing okay. 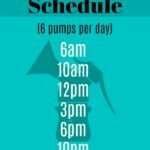 Below is a sample pumping schedule with eight pumps in 24 hours. A schedule like this will give you three and a half straight hours of sleep (from about 12:30am-4am, once you’ve finished pumping) – assuming your baby lets you sleep! These times can obviously be adjusted however you like. 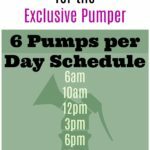 Below is a sample pumping schedule with ten pumps in 24 hours. This schedule will give you four and a half straight hours of sleep (from 7:30pm-12am), with the added benefit that if you have a partner he or she can care for the baby during this time before going to bed themselves. With this schedule you have eight hours of sleep in a row! 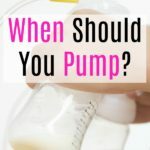 Unless you are really working to build up your supply, I would recommend getting some sleep and dropping the middle of the night pump once your baby is three months old. A one pump per day schedule is a supply killer for many women (including myself), so attempt it with caution if you decide to go this route. Between dropping to one pump per day (at 7pm) and getting pregnant again, my supply crashed to nothing at 14 months. How Important is Sticking to a Pumping Schedule? When you have a newborn, sticking to a defined pumping schedule can be a challenge – you are likely sleep deprived and busy, so it’s easy to forget to pump. Skipping a pumping session every now and then is not a big deal, especially if you are able to make up the time during a later pumping session that day or squeeze in a power pumping session. If you’re finding that you’re missing pumping sessions regularly, there are a couple of tools that you can use to remind yourself. I got an Itzbeen as a gift when I had my first baby, and you can set an alarm with it (either a silent flashing light or beeping) to let yourself know it’s time to pump. Alternatively, the iOS Milk Maid app has a reminder function that allows you to enter your pumping schedule, and it will notify you every day at your defined pumping times. With older babies (after 3-4 months), sticking to a schedule is less important. As long as you get your total number of pumping sessions (and pumping minutes) done in a given day, you should be fine. 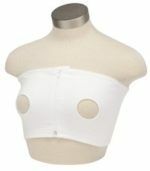 How can i wean from pumping without getting fever and have the stone breast ? Hi! I am EP at the moment. My baby girl is 17 weeks (4 months) now and I pump 5x a day. My schedule is: 5a 9a 1p 5p 9p allowing me to get my 8 hour stretch (which is technically only 7 hours since after pumping I still need to clean up, store milk and disinfect things and finally make it to bed). Anyways, my ppd is about 39-42oz which gives me plenty of milk. But lately my 1pm pump has been super difficult to keep up with due to work demands and my boss not respecting my pump time (even though I only pump twice at work!!!) ugh. Anyways, I was thinking of going down to 4 ppd but I’m worried about loosing milk supply. Any suggestions? Oh… I forgot to mention, I got my period 2 months ago. Idk if this changed anything. I do see a bit of a drop whenever I’m on my period. How is it that so many moms don’t get their periods?!?! Hi Nidya! How long are you thinking your want to pump? I think it would be okay at this point but long-term supply (past 6 months) would be my concern, especially with you having gotten your period back. Sorry your boss is doing this! If you are going to see a change in supply, how long does it take? My baby is 5.5 months and I dropped my MOTN pump about 6-7 weeks ago because I just couldn’t handle it after returning to work. Just this past week I’ve made less, about 5oz/day. I was pretty consistently making 40oz/day now closer to 35. I don’t think it’s due to my period, I got an IUD 7wpp and only have random spotting here and there. I’m still making a bit more than she needs, but I’m working on a freezer stash because I may have to start traveling for work again at 1year pp. I think usually between 2-3 weeks… Could you maybe be getting your period back? If I try to slowly go from 6 ppd at 11 wpp to 3ppd at 16wpp due to my ability to pump at work, will I kill my supply? Right now I pump about 10-15oz more than what my baby eats per day. Thanks for your helps and all of your valuable posts! How long do you want to pump for – six months, a year? The longer you want to pump the riskier it is (risk of getting your period back, etc.) Can you make the 3 remaining sessions 45 minutes or so? That would be the best way to protect supply, but I know it’s a lot. Hi! Sorry for the long post! I’ve been exclusively pumping for nearly 7 months due to NICU and latch issues. When my milk came in, I went from nothing to oversupply. Within 7 days of pumping I was getting on average 17oz a day (I pumped 6 times a day for 15 min– 12AM, 4 AM, 8 AM, 12 PM, 4 PM, and 8 PM). 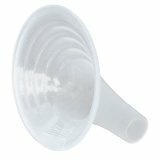 I had mastitis for over 2 months and recurring clogged ducts for about 4 months until I figured out pumping. After about 4.5 months I dropped my 4 AM pumping and saw no difference in my supply. I get anywhere from 43oz to 50oz a day depending on if my baby wakes me up a night–if I wake up I feel like my body starts to make more milk because it thinks I’m going to start the day. I have to pump for an hour in the morning to get all the milk out (I get on average 16oz). I pump for 30min for my other sessions since I seem to get another let down after 20min. When I accidently skip a pumping session during the day, I still get the same amount of milk… sometimes more which is crazy. I am thinking about trying to go down to 4 pump sessions a day, but am curious about how it would affect my supply. 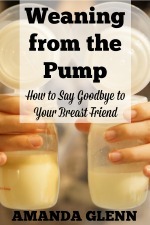 Granted, my son drinks about 22-30oz a day, but I donate my extra milk every month (anywhere from 500-550oz) and I would like to continue my donations since it has helped me feel better about pumping after not being able to breastfeed. Did you keep track of how much you pumped using each schedule (i.e. 8 pumps versus 4 pumps a day, etc.)? This is really neurotic, but I have a log in Excel of every pump I’ve ever done and how much milk I expressed. By the end of my pumping journey I will know exactly how much milk I pumped. I also kept track of how much my son drank every day because he was a low birth weight baby and I wanted to make sure he was eating enough. I was so worried I wouldn’t have enough milk for him while he was in NICU so I started keeping a log. Hi Jessica! I don’t think that’s neurotic at all! I love it. 🙂 In fact I would love to see your spreadsheet when you wean to do a case study on it! I didn’t write it down anywhere but I believe my supply increased or stayed the same when I dropped pumping sessions until I went from 4 to 3, when it dropped. I would try dropping one at a time and see how it goes! That’s so awesome that you are able to donate that much milk! 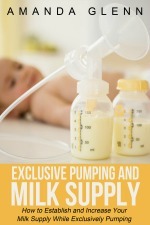 When you start to decrease your pumping sessions, does your milk supply drop too? Or do you pump an equivalent amount (ex pumping 2oz a session when 8x per day (16 oz/day) then say 3.5oz a session when 5x per day (still about 15 oz))? Thanks a lot for your post it is so helpful for working mom’s. 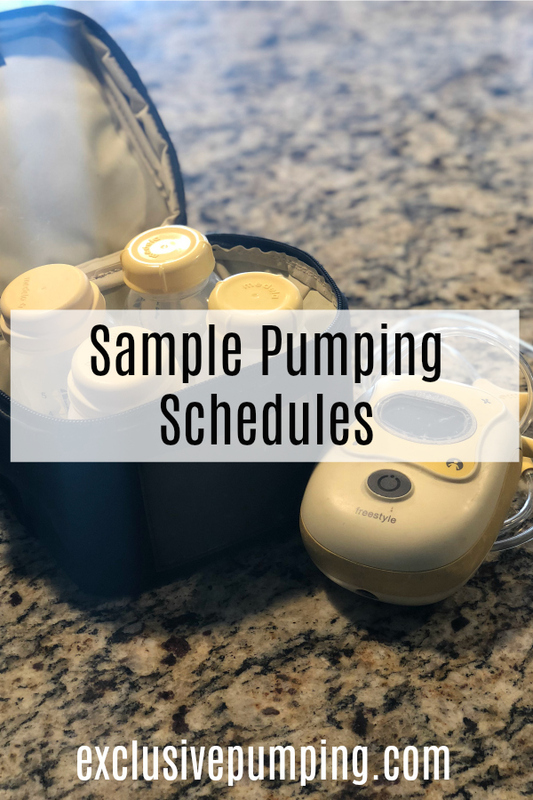 Could you please provide pumping time with each schedule and if some of those times can be substituted with direct breastfeeding or this is aside from breastfeeding when with baby? Hi Nina, to get the pumping time, you can divide the number of pumping sessions by 120. I’m not a nursing expert, but as long as your baby is taking the amount of milk that you’d pump, it would replace it. These are more for exclusive pumpers though. Hope that helps! Alright! I may just hold off then 🙂 thank you! Did you ever see a decrease in your supply when decreasing number of pumps, besides when you dropped to one pump? My goal is to make it to a year of breastfeeding, my son is 7.5 months now and I pump 4 times a day. Have been debating going down to 3 pumps, but concerned it’d drop my supply too much. Thanks! Hi Lauren, great question! I did after dropping to 3, but I also got my period at the same time. Hard to know which caused the drop. Before that, no. Yes! Your total pumping time in a day should be (at least) 120 minutes, so at 5, I was doing about 25 minutes. Will do. Thank you so much!! !